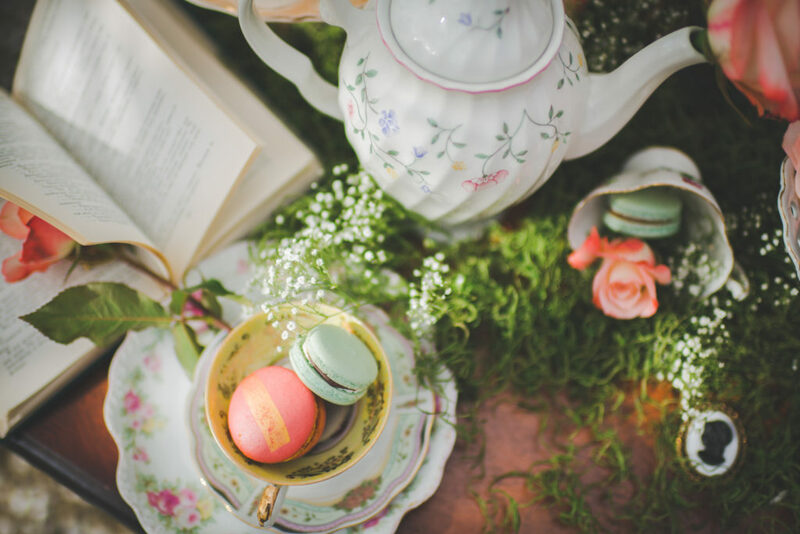 Everyone loves a good tea party, especially if it’s done Mad Hatter style! 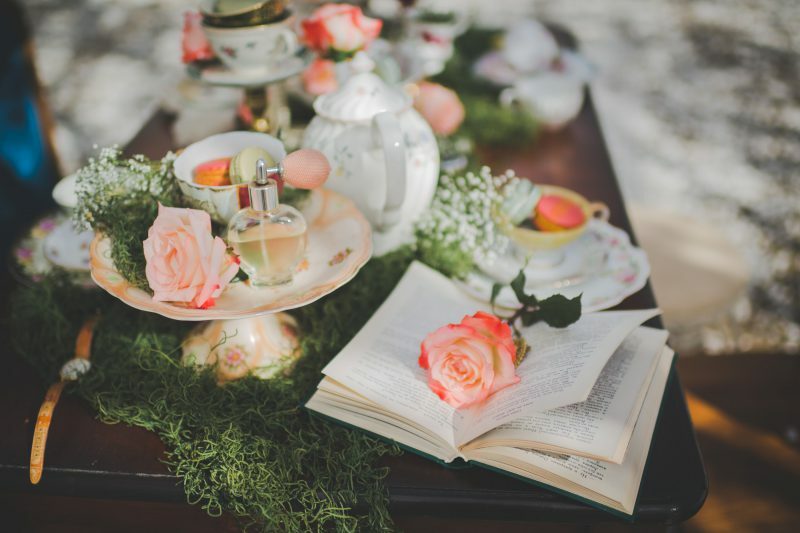 Tea parties are a great idea for bridal showers, baby showers, a little girls birthday party and even weddings! But do you ever really need a reason to dress up, act posh and drink tea? We say drink up and do it in style! 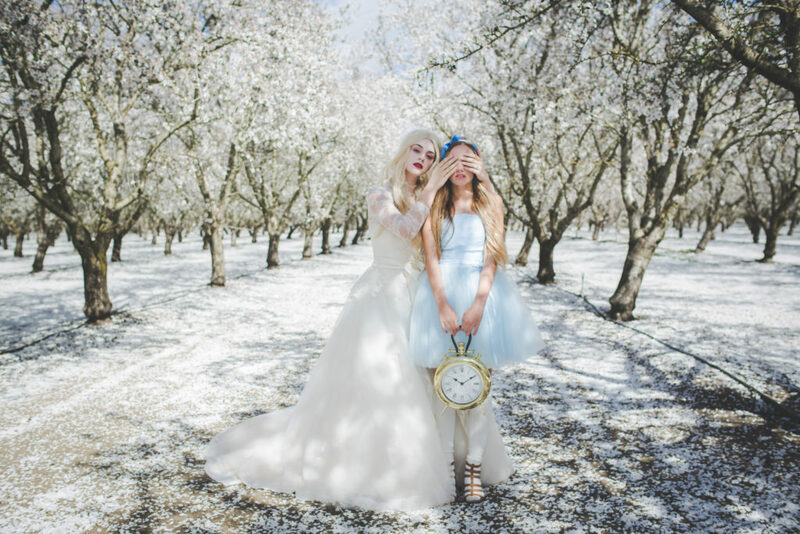 This Alice in Wonderland themed party is full of whimsical, wonky and pretty details that will not disappoint. 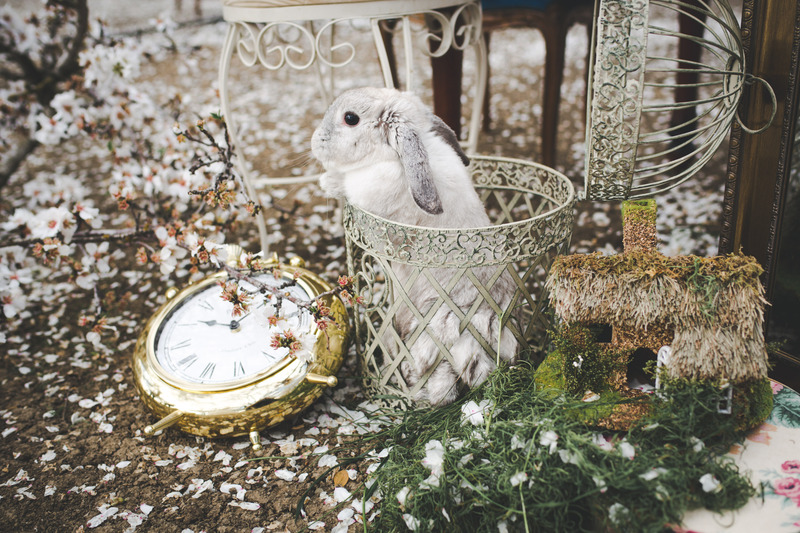 Get ready to go entirely bonkers because it’s tea time! 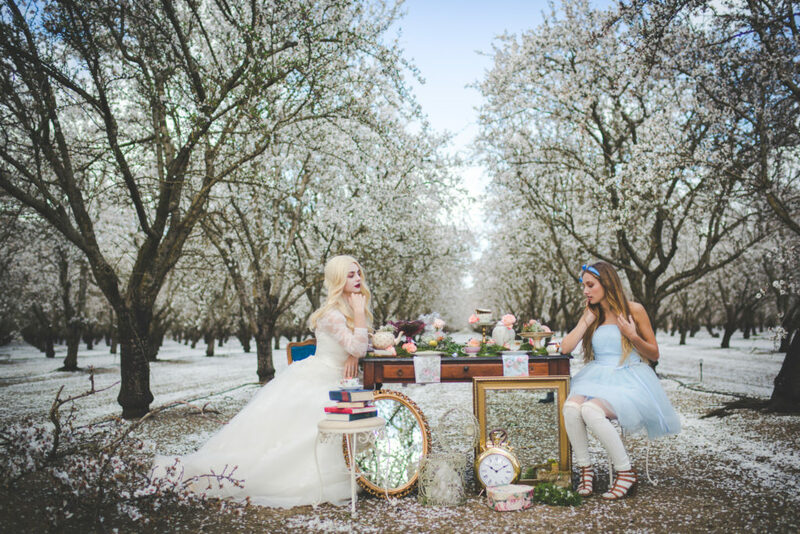 When it comes to an Alice in Wonderland theme, location and atmosphere is important to create that dreamy wonderland vibe. 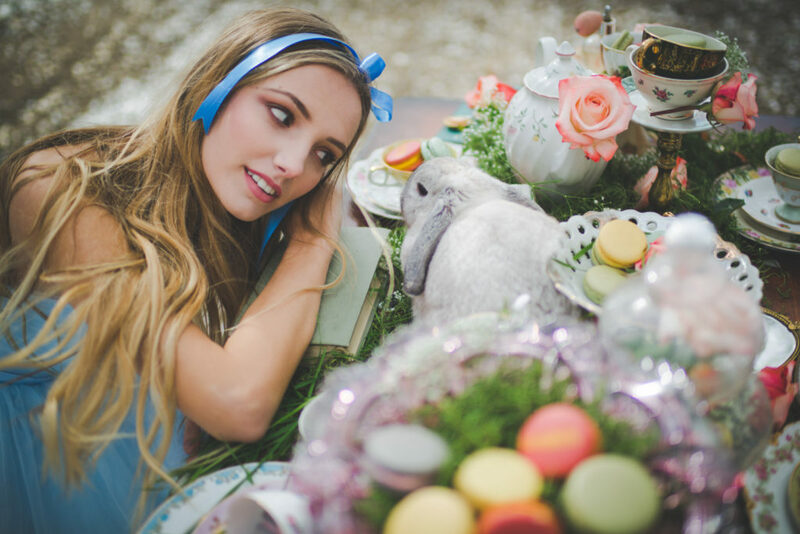 And boy did this tea party truly took place in a wonderland! Every spring the farm town of Dixon in California turns into a beautiful white world of flowers and creates a beautiful backdrop to take photos in. Wedding shoots in the orchards are especially gorgeous, like this one! 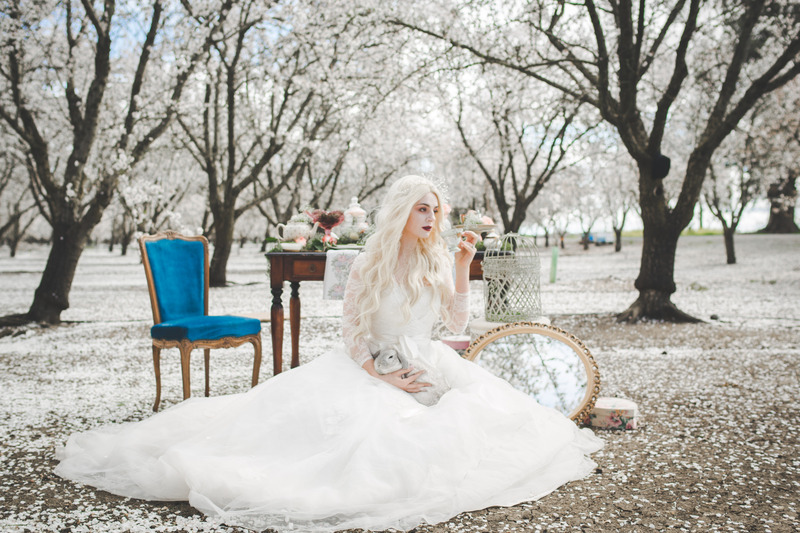 Sacramento Photographer Irina took advantage of this wonderland and organized this styled shoot with other local vendors. But it’s not a tea party without the proper attire! 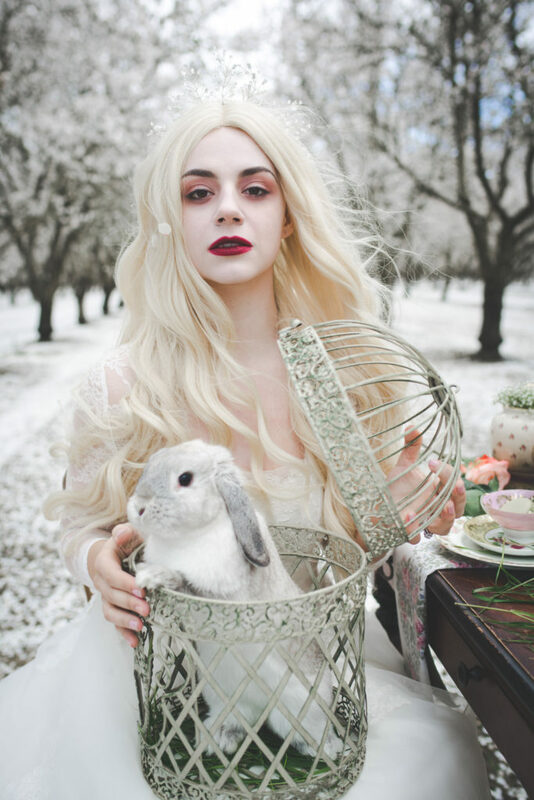 The models were dressed in outfits inspired by The White Queen and of course Alice. Irina used her own wedding dress for the White Queen and thrifted a dress for Alice. Most importantly, we had the cutest bunny join the party because it’s not a Alice in Wonderland tea party without the White Rabbit! 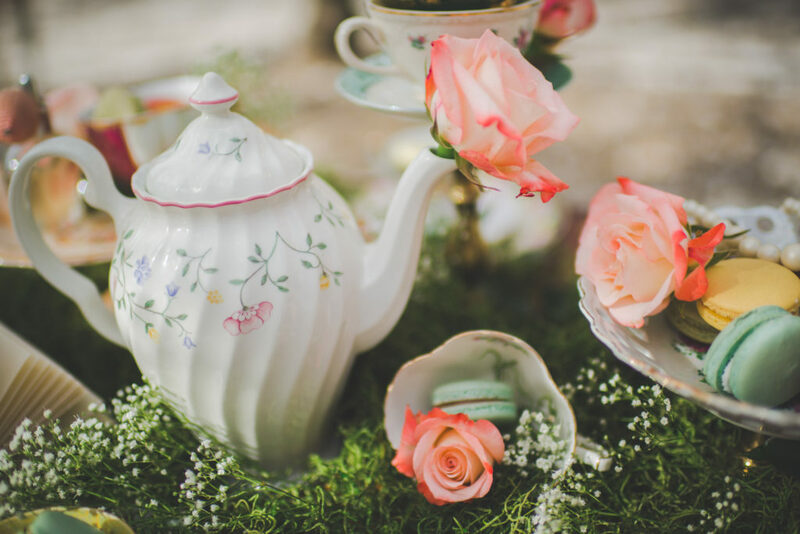 When it comes to decorating a Mad Hatter themed tea party you need keep it wonky and whimsical. 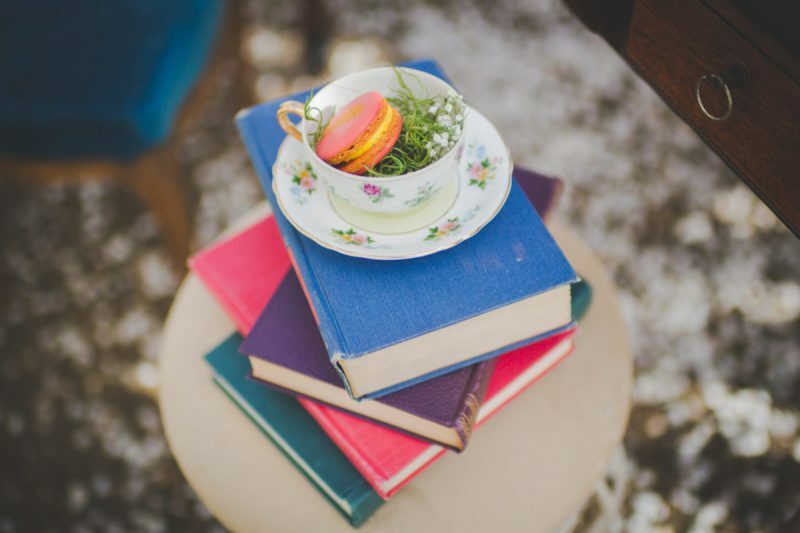 Mismatched teacups and saucers are an absolute must (we got these from local Sacramento vendors). Don’t forget the tea pots either! Go to a local thrift or contact a Love of Parties vendor for various vintage props you can use, the more the merrier! 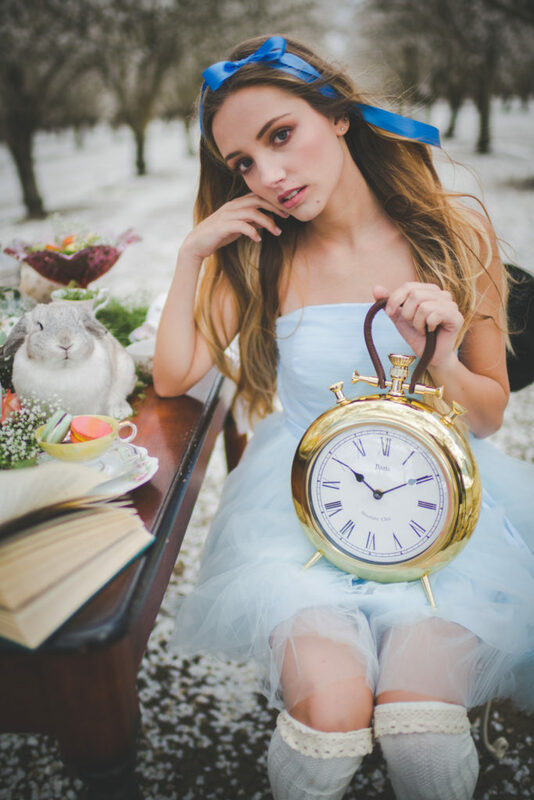 Frames, clocks, books, watches, mirrors and dessert stands are a must to give your party that Mad Hatter kind of vibe. We added a feminine touch by playing with pastels and floral touches but still gave it an overall “bonkers” kind of feel. I don’t think the Mad Hatter would be disappointed! 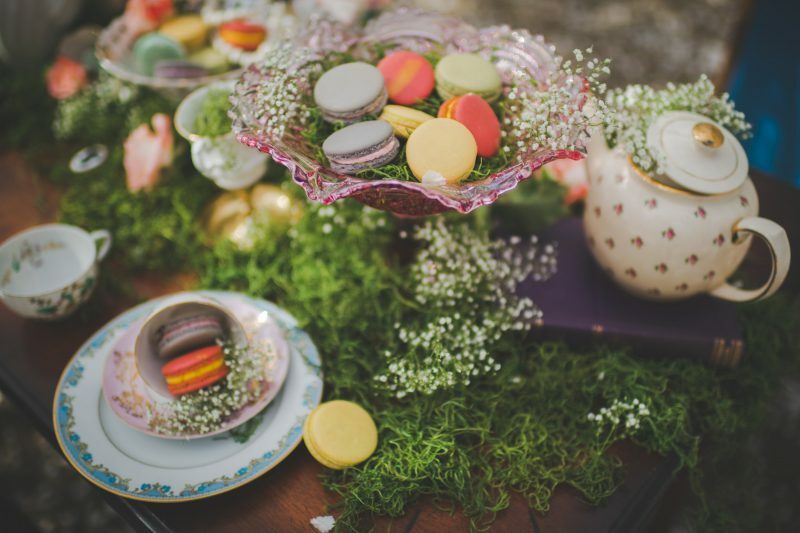 Lastly, don’t forget the macarons and any other sweets you can get your hands on! 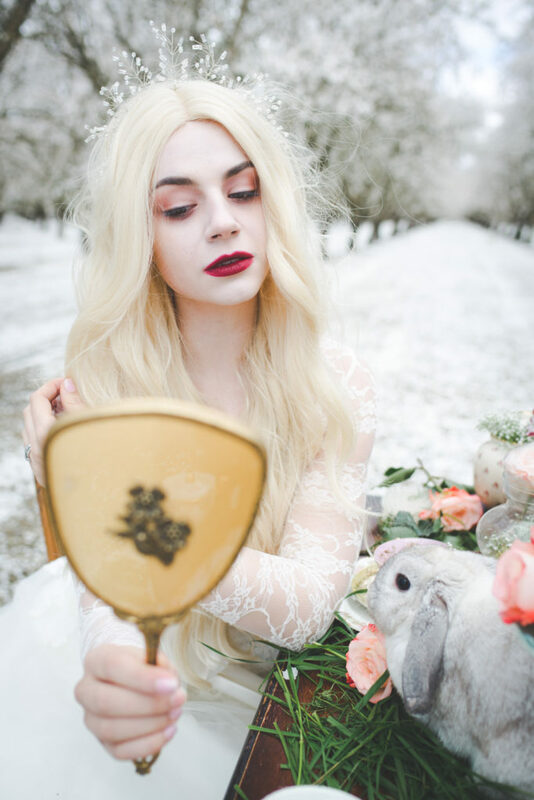 For this shoot we got macarons from Ellie’s Macarons (probably some of the best macs in Sacramento).